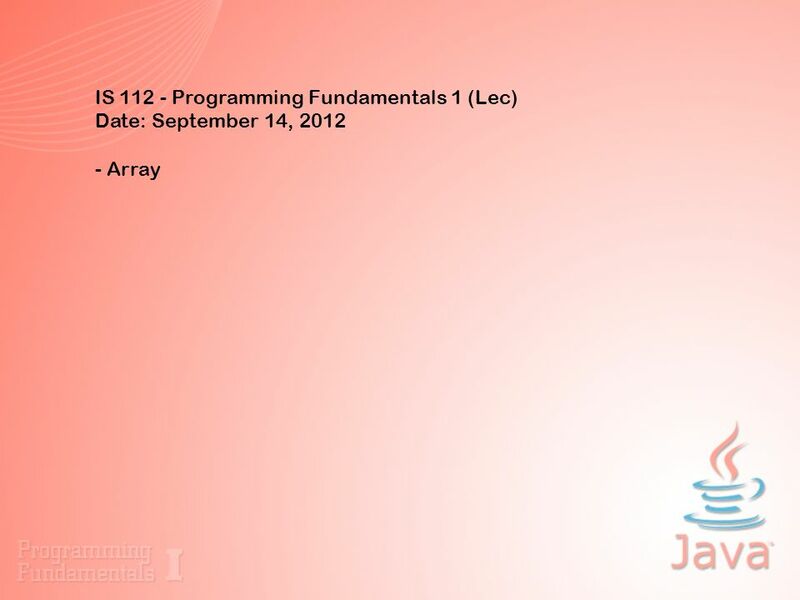 IS 112 - Programming Fundamentals 1 (Lec) Date: September 14, 2012 - Array. 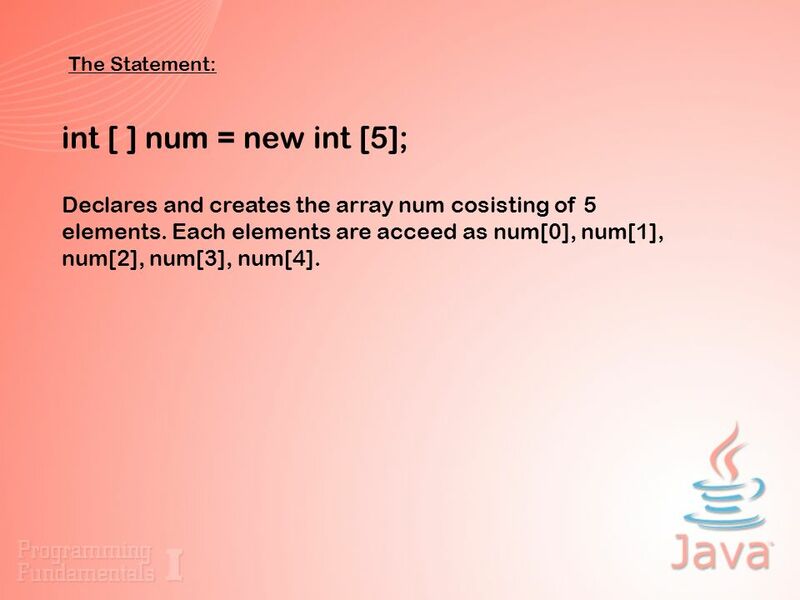 Download ppt "IS 112 - Programming Fundamentals 1 (Lec) Date: September 14, 2012 - Array." 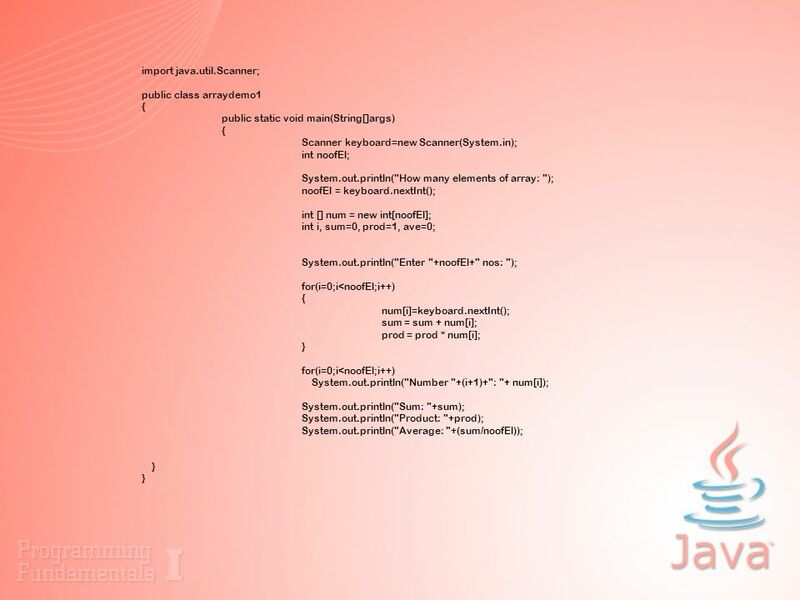 Solve problems with Java code Algorithms with Java. Lecture 4 More on Java® Data Types, Control Structures. Programming for Beginners Martin Nelson Elizabeth FitzGerald Lecture 3: Flow Control I: For Loops. Lecture 10 Methods COMP1681 / SE15 Introduction to Programming. Input review If review Common Errors in Selection Statement Logical Operators switch Statements Generating Random Numbers practice. EXAMPLES (Arrays). Example Many engineering and scientific applications represent data as a 2-dimensional grid of values; say brightness of pixels in. 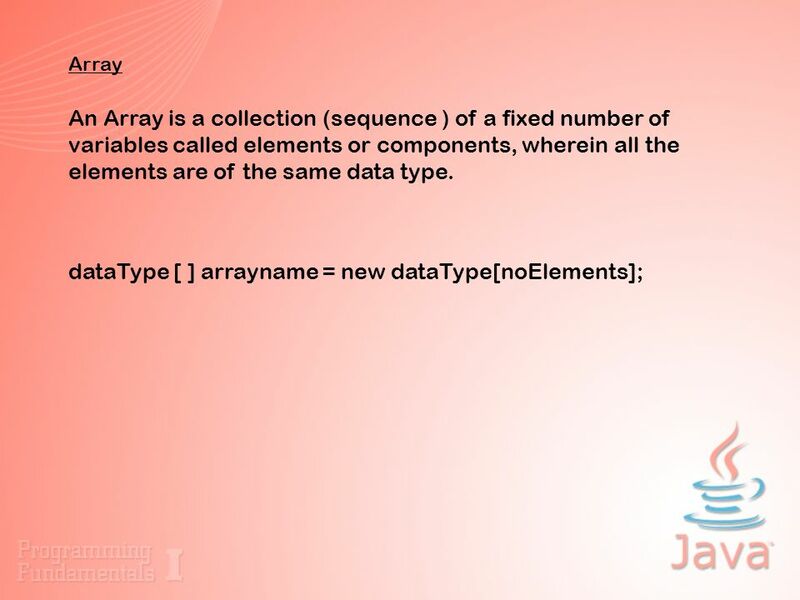 1 Arrays An array is a special kind of object that is used to store a collection of data. The data stored in an array must all be of the same type, whether.